Austria remains committed to Russia’s controversial South Stream gas pipeline project, despite a deepening crisis in Ukraine, its foreign minister, and the head of its top energy company said on the eve of a visit by Russian President Vladimir Putin. 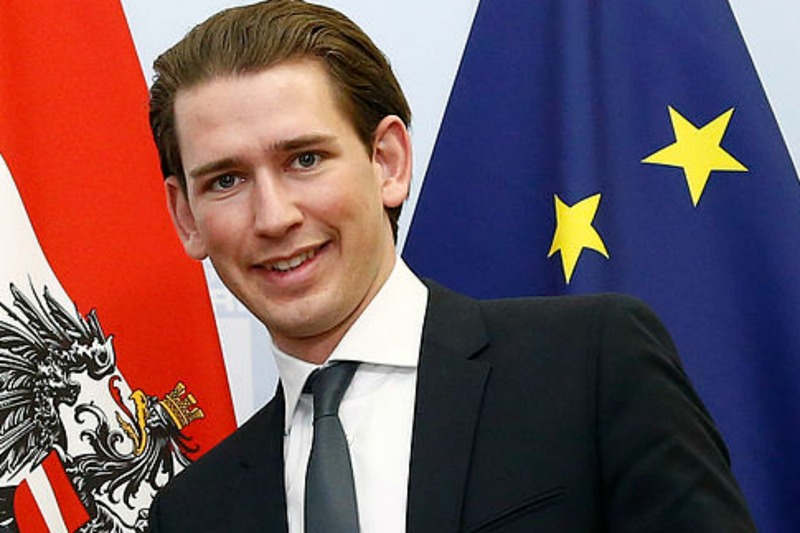 “We need not only more suppliers, but also more variety in the routes that energy can flow to us,” Foreign Minister Sebastian Kurz told reporters in Luxembourg yesterday (23 June), noting five European Union countries firmly backed the project. The South Stream pipeline would bring Russian gas to Europe without crossing Ukraine, which has been locked in a violent standoff with Russia after the ousting of Ukraine’s pro-Moscow President Viktor Yanukovich touched off a separatist uprising. The European Commission has said the project can get approved but has stressed it must conform to strict EU competition and environmental laws. Prime Minister Plamen Oresharski said on 8 June his cabinet was stopping construction until Brussels lifted its objections to the project. At the G7 summit, Commission President José Manuel Barroso made it plain that the EU’s executive had launched an infringement procedure against Bulgaria for non-compliance with European rules on energy competition public procurements. Other infringements procedures related to other countries would follow if other irregularities were not removed, he said. Reportedly, Italian Prime Minister Matteo Renzi is spearheading efforts in support of South Stream on behalf of the countries through which the gas pipeline would pass. These are Bulgaria, Serbia, Hungary, Austria, Croatia, Slovenia and Greece. The head of Austrian energy group OMV called for accelerated negotiations to approve the South Stream pipeline, telling a newspaper it was unrealistic to think Europe could entirely wean itself off of Russian energy supplies. Gerhard Roiss was speaking before Putin visits Vienna on Tuesday, during which OMV and Russian partner Gazprom are to sign a contract on bringing the South Stream gas pipeline to Austria, as agreed in April. “A third of our gas comes from Russia, in some regions even 100 percent,” and in return Europe sends cars and machinery to Russia, Roiss told the WirtschaftsBlatt newspaper. “One should not make this economic integration into a political football, because our economy and prosperity are based on it,” he said in remarks published on Monday. “If we can get large quantities of gas from a certain region then we have to give investors the chance to build gas highways. Negotiations for South Stream should thus be accelerated and not put on ice,” Roiss said, while acknowledging that the project would have to conform to European law. Against the backdrop of conflict in Ukraine, the pipeline plan has become a focus of tension between Russia and the European Union. The EU summit on 26-27 June will focus on the need of the Union to decrease its energy dependence from Russia. According to the draft summit conclusions obtained by EURACTIV, South Stream is not mentioned, but countries are required to pursue infrastructure projects with third countries in full respect with the EU’s internal market and competition rules. 26-27 June: EU summit to adopt the European Energy Security Strategy (EEAS).